Being a massive fan of the the film 'The Holiday', I couldn't resist requesting a copy of this book as soon as I saw it on NetGalley. 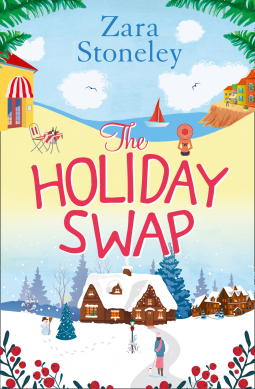 The Holiday Swap is the first book that I have read by Zara Stoneley, and although I struggled to get into the first couple of chapters, once I had it was a delight to read. The Holiday Swap starts of with Daisy, one of the two main characters and whom has just been proposed to by her long term boyfriend, Jimmy. This comes as a shock to Daisy and she starts to question everything she currently knows in her life as it is. She's always wanted to travel but life has whizzed by with her ties to her cottage and beloved pets in Tippermere however she feels that by agreeing to Jimmy then she may never get that chance to travel if she settles down - even though the quiet country life, minus a few run in's with her neighbour Hugo, is pretty quiet already! Flo is our other main character and she on the other hand is more than ready to say yes to her boyfriend Oli,.. before he has even asked the question! Flo leads a busy life in Barcelona running a magazine with Oli and when she see's a confirmation on his phone to a romantic break in Paris, Flo is convinced that the time has come. With Daisy needing to get away and figure out her feelings, and Flo needing to be cheered up, their mutual friend Anna suggests a weekend in Barcelona - a perfect 'kill two birds with one stone' scenario, however once there it soon becomes clear that Daisy is loving the break and Flo is homesick for some cold Tippermere weather.... this is when Anna steps in again and suggests a holiday swap for the last few weeks leading up to Christmas. Now I mention the 'C' word... please don't feel that this book is super festive as it isn't - its perfect to be read right now whilst we still have some sunny days but the mornings are getting colder. 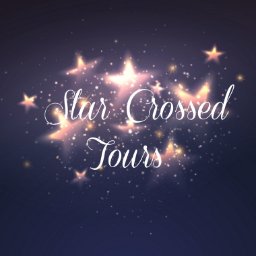 Over the next few chapters we are treated to Daisy discovering the delights of Barcelona with the help of Flo's friend Javier, whilst Flo gets in to all sorts of mishaps and troubles back in Tippermere with the animals and Hugo!! 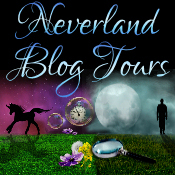 Although I felt here that the book was a little predictable with the girls falling for the boys respectfully, the way it was written kept the pages turning with lots of little twists, challenges and misunderstandings in their relationships to keep the reader engaged. All in all The Holiday Swap was a great read with its alternating chapters depending on whether you are in Tippermere or Barcelona, but it all linked very well. My only grumble - and it's a little one- is that there was no epilogue. I felt the story finished quite quickly and I would have liked to have seen how there girls are getting on in their new lives - fingers crossed for more!